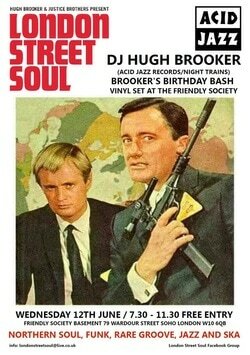 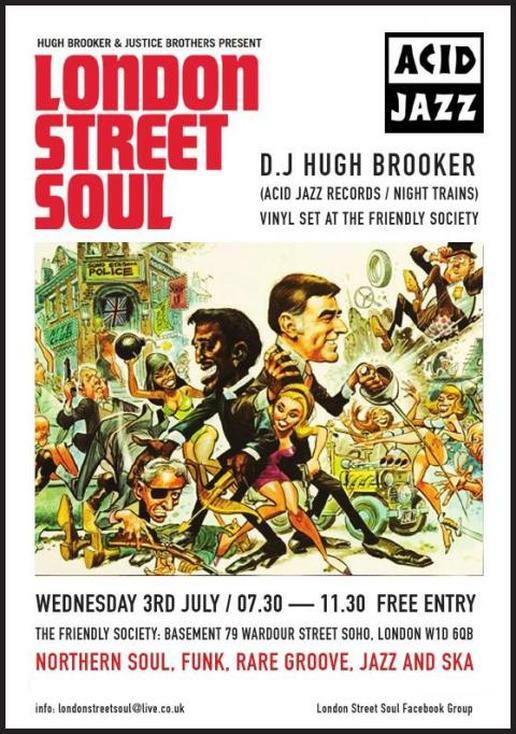 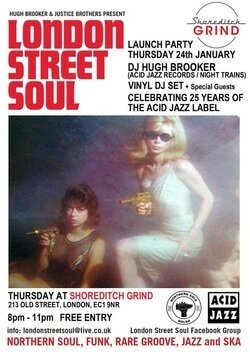 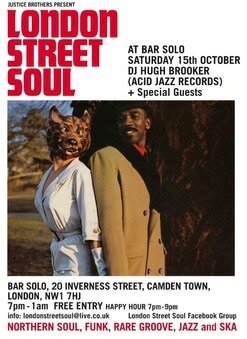 Night Trains' Hugh Brooker and Justice Brothers presents an uplifting eclectic celebration of Northern Soul/Funk/Rare Groove/Jazz and Ska at the Friendly Society, Soho. 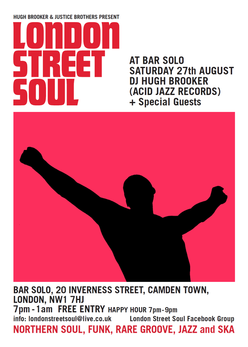 ​To coincide with the 25th anniversary year of Acid Jazz Records, the label that introduced the world to Jamiroquai, The Brand New Heavies, Corduroy, Mother Earth, James Taylor Quartet and many others, London Street Soul captures the excitement and energy that catapulted Acid Jazz to the forefront of the global music scene, creating along the way its own unique genre, vision, look, and vibe. 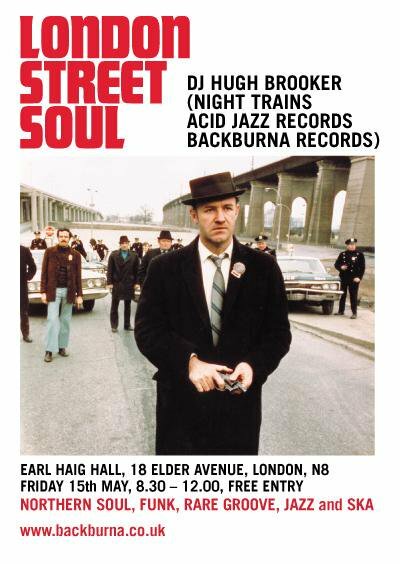 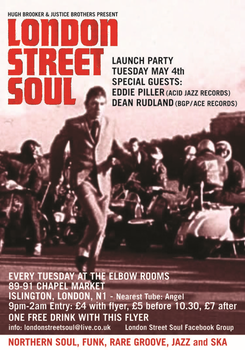 Hugh Brooker and very special guests will be spinning the vinyl that became anthems and influenced thousands of artists, producers and DJ’s across the globe. 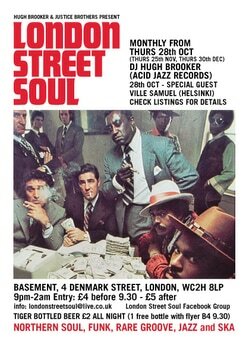 As part of the anniversary celebrations Harmless Records have released the limited edition collector’s piece:-Acid Jazz: The 25th Anniversary Box Set featuring amongst others; Gil Scott-Heron, Paul Weller, The Isley Brothers, Hugh Brooker’s Night Trains, Humble Souls, Cypress Hill, The Brand New Heavies and Mother Earth.